In 1845, before the waves of settlers had come to the Oregon Territory, a confederation of six Oregon tribes worked together to begin to expand their resources and wealth. The “Kayuse, Wallawalla, Spokans, Nes Perces, Ponderays and Snakes” sought to create vast cattle ranches in their territories. Dr. Elijah White (Indian agent) reported the happenings of their grand enterprise to buy cattle in California from the Spaniards and drive them back to Oregon. 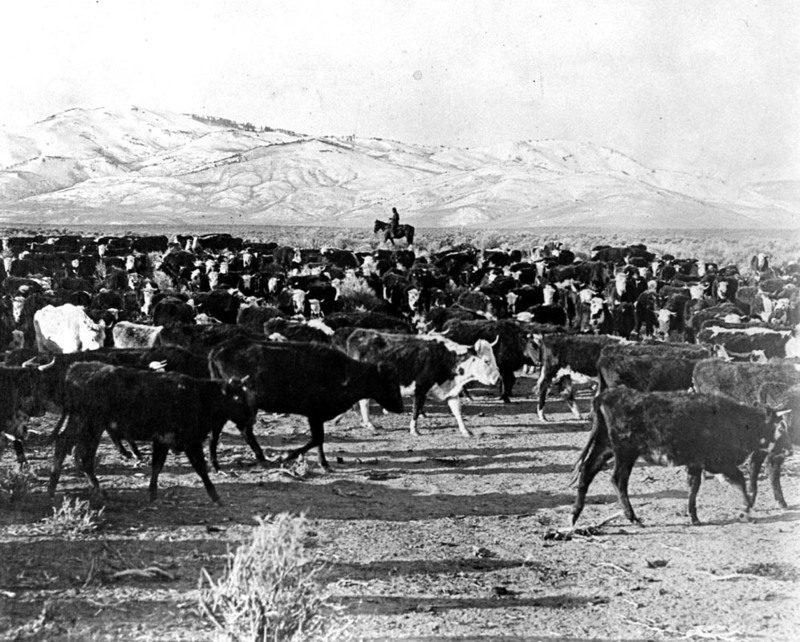 A similar venture in 1837, The Willamette Cattle Company, who was led by Ewing Young, who successfully drove 700 cattle from California to the Willamette valley to establish the first herds in Oregon. The Willamette Valley enterprise was began at the Willamette Mission in a meeting called by Jason Lee. Various prominent settlers invested in the venture, including John McLoughlin. It is likely that Elijah Hedding was a student living at the mission at the time of this venture and witnessed its success, because 80 of the cattle came to the mission. The Indian children were employed at the mission as farm and ranch hands and did much of the daily labor. Elijah is likely to have initiated the expedition when he came to leadership among the Columbia River tribes. The tribal chiefs traveled south some eight hundred miles to near the fort established by Capt. 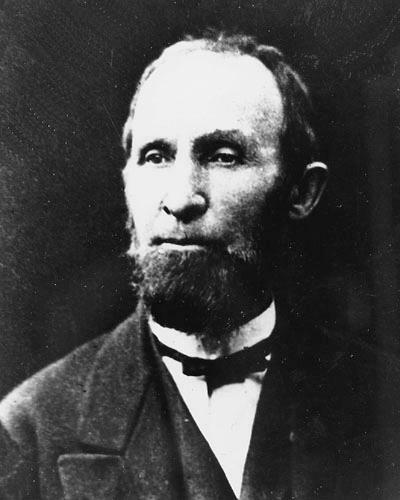 John Sutter, later called Sutter’s Mills, and still later Sacramento. The Spanish at this time owned all of California and Northern California administered by General Mariano Vallejo. General Vallejo’s Alta California fort was at Sonoma, while his ranch was at Petaluma. He lived at the Petaluma Adobe (still standing). The Columbia River tribal chiefs took a herd of their extra horses, furs for trade and ten dollar bank drafts written out to them by Dr. White some time earlier. And they were successful in making the deal for the cattle from the Spaniards. Some short time later while the Oregon tribes were on a hunting expedition a “band of mountain free-booters” attacked the tribal party, with the party being victorious. They took possession of a herd of some twenty-two horses, which had been previously stolen from the white settlements in the valley. When they returned to the settlements, the whites, noticing the brands on the horses, laid claim to the stolen livestock. The Oregon tribal chiefs negotiated with the whites, being offered at first an insistence to return the horses outright, then a offer to buy the horses for 15 cattle. The tribal chiefs were disgusted at the offer and left. The negotiations seemed to break down over differences in laws. The tribes held that such livestock may be returned to an owner for a price, but the whites at first insisted that the horses are returned for no fee, then disrespected the Chiefs by offering too small a fee. At one point, an American saw his mule among the herd and insisted it be returned, and that “he would have it”. A young chief Elijah Hedding called his bluff and raised his gun daring him to take the mule. The man left. The next day the chiefs visited the fort of Capt. Sutter and joined the church service. After the service Elijah and an old chief, his uncle, were invited into another room, and there the American who had insisted on the return of his mule said he was going to kill Elijah for the threat on his life. The American accused them of being thieving dogs and when Elijah asked to pray first and the man shot him while he was kneeling. After this the Oregon tribal party were on the run, the Spaniards made every attempt to hem them in and prevent their escape at every river crossing, yet the remainder of the party made it back into Oregon unharmed. They returned to their people without their cattle, which they had fairly bought, and without the horse, money and furs that they had taken with them to barter for the cattle. They had lost everything. Dr. White mentioned during his letter that Elijah Hedding had been a young Indian who had spent several years at the Willamette Mission. In various letters from Jason Lee and his Methodist missionaries, there is mention of how the Indian children were gathered from the Willamette plains and taken into the mission, given American names and taught to read and write English. Hedding apparently distinguished himself after the mission and became a highly placed chief among the Columbia River tribes. He would have been valued for his command of the English language, and his ability to read and write. There was also a Bishop Elijah Hedding who was in charge of the Methodist Operations on the Pacific and that is likely to be the origin of the name. Upon their return the tribes sent out an emissary to Dr. White to measure the serious of the affair and if there would be repercussions. The emissary, Ellis, was of the Nez Perce tribe and addressed the issue very diplomatically, impressing Dr. White. He mentioned that the Oregon tribes desired to gather some two thousand warriors and revenge themselves upon the Spaniards and white settlements, but were restraining themselves to hear the outcome of this meeting. Apparently, Dr. White was so sympathetic to the losses by the tribes that he offered to send a letter about the affair to Capt. Sutter, to the Governor of California, and to the chiefs about the matter. White also invited the tribes to come to a gathering in the next fall, and to exchange their remaining bank drafts for cattle from White’s own herd. As well he was offering an additional $500 to each of the tribes to purchase more cattle. That was an acceptable option, and likely prevented an invasion on California by the Oregon Tribes. This event is truly amazing. That the tribal chiefs planned to increase their herds, and began to develop ranching economy at this early time is incredible. We know that the tribes were well used to horses, and where developing their own breeds, like the Appaloosa, but this event is a window into perhaps what might have been if the settlers had not began coming in droves to Oregon. The tribes would have continued to develop competitive systems of trade and exchange within their territories and would have worked side-by-side with the newcomers. The obvious racism of the Americans and Spaniards in California ruined the time for the tribes. Many California tribes at this time were heavily missionized, many living in rancherias outside of Spanish forts and settlements. Norte California was a bit of a wild frontier, and few Spaniards ventured there. The furthest northern Spanish settlement was that of General Vallejo at the Petaluma Adobe. 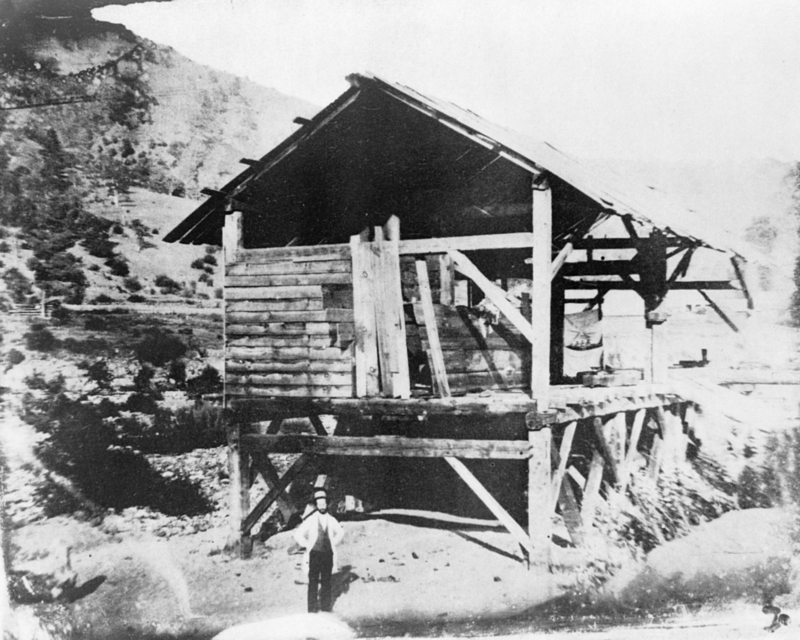 The gold rush, four years later, changed that forever, bringing thousands of Americans and others to flood California and the North with mining claims and causing increased adversity between the tribes and the whites. The conflicts turned to outright genocide of the northern California and Southern Oregon tribes, from roughly 1849-1860, by Volunteer Militias seeking to exterminate all of the tribes because they were in the way of settlement and gold mining. Indians in this era were not considered civilized nor human enough to remain live, and the white settlers took every measure to eliminate them. The notion that the Columbia River tribes, the Six tribes, were working together in such a scheme is also amazing. Not too long after, a series of wars broke out on the Columbia and in western Oregon, which eliminated the ability of the tribes to gather together. They were subjected to racist and genocidal actions from the Americans and signed treaties of removal to reservations. The pioneering Americans still felt that the tribes would one day band together and wipe them all out, as seen in the many editorials in regional newspapers. Many of the settlers probably remembered events such as this. The Americans asked for the U.S. military to come to the region to control and remove the Indians, claiming that the tribes were attacking American settlements. The Americans military took California in 1848 and were in Oregon by 1851 establishing forts. 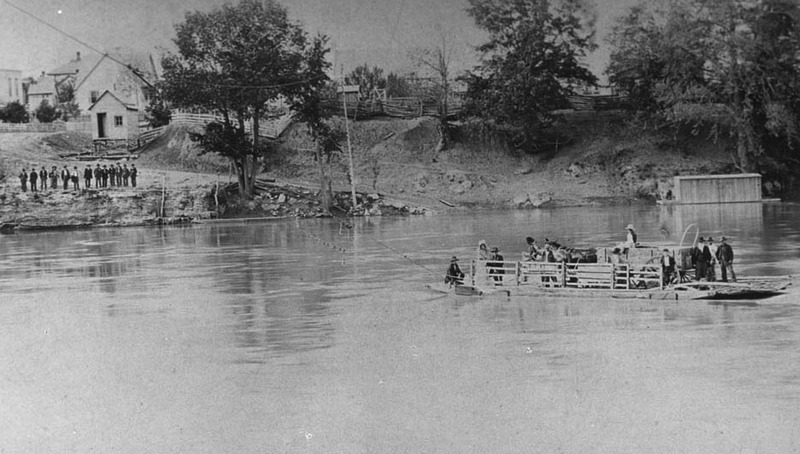 When the military arrived and began conducting their own investigation, they found that the blame for the many conflicts with the tribes rested solely with the American settlers who were instigating the attacks, and fomenting violence in the region (see letters of General John E. Wool, Commander of the Pacific). The tribes were then removed to reservations in order to preserve and protect them from the marauding Whites who sought nothing less than total extermination of the Indians. At the time of this story, 1845, there was a glimmer of hope that tribes would become equal partners in the territory with the settlers, but as we all know that was not to be. Brosnan, Cornelius J., Jason Lee, prophet of the new Oregon, 1932. Accessed at Hathitrust. Gay, Theressa, Life and letters of Mrs. Jason Lee, Metropolitan press, 1936. Wool, General John E., Letters of… Oregon Territorial records (Microfilm) and Capital Journal newspaper, Salem. all images are on Loan from the WWW. ← Review: Melinda Marie Jette’s “At the Hearth of the Crossed Races” OSU Press, 2015.